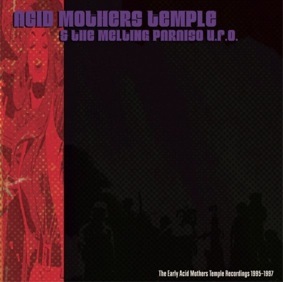 disc-3 : Acid Mother’s Temple & The Melting Paraiso U.F.O. This 3LP edition is limited to 100 copies and includes discs 1 and 2 packaged in a gatefold sleeve, disc 3 packaged in a disco sleeve, plus a poster. 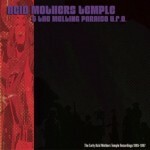 Discs 1 and 2 recorded at Acid Mothers Temple 1995-1997. Disc 3 recorded at Acid Mothers Temple 1995-1996. Disc 3 originally released on Acid Mother’s Temple & The Melting Paraiso U.F.O., a cassette issued in 1996 in a limited edition of 10 copies. The cassette also featured a track called “Psycho Line”, but it was considered to be of inferior musical value and has been omitted from this reissue.